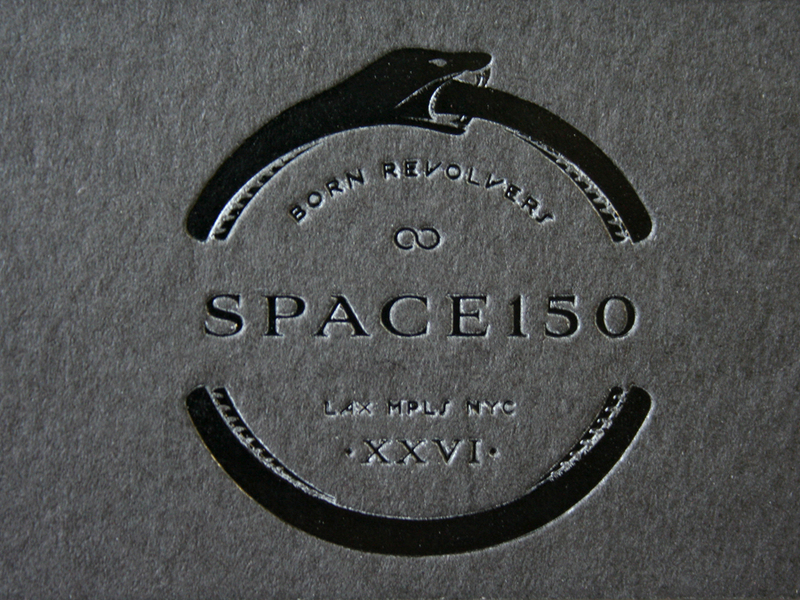 Just launched this last week was the 26th version of the Space150 identity. These guys change up their identity every 150 days. 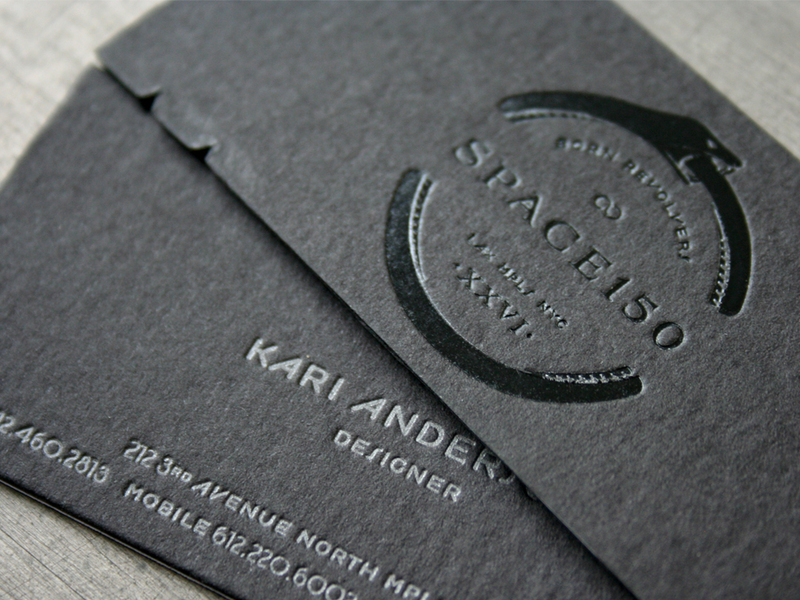 They designed this business card with lots of production love. Here are the production steps: 1. 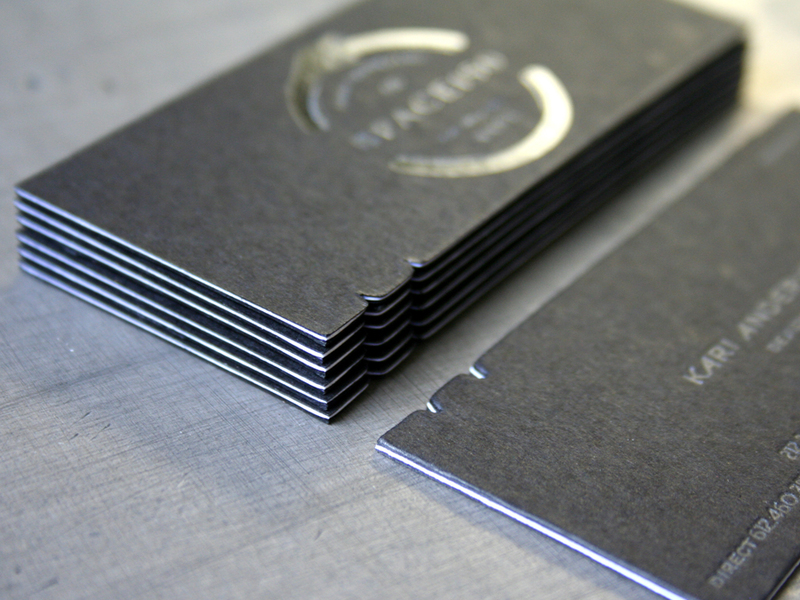 Custom pasted triple layer stock. Black with a white middle, 330lb total weight. 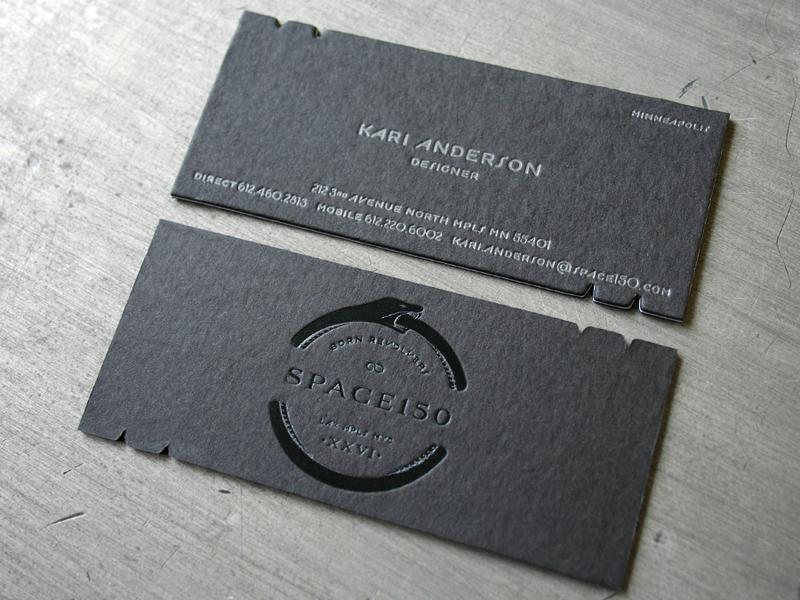 See previous Space150 card versions we've printed here and here and here.